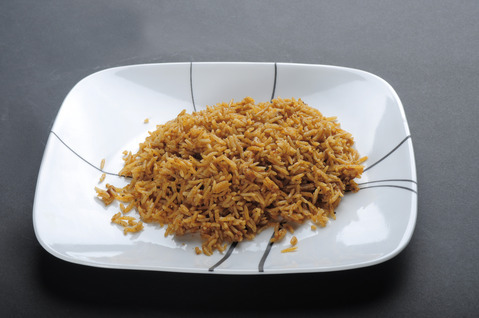 Jollof rice is a dish that is popular throughout West African Countries. A delicate blend of herbs, spices, tomato paste, garlic, thyme, black pepper, salt, vegetable oil and water. The texture and flavor differs depending on the region in Africa. I use a long grain rice and pay particular attention and focus in producing a consistently fluffy, tasty and moist but not oily dish. Our secrets and methods await you in the upcoming Cookbook-My Wife's Hands.